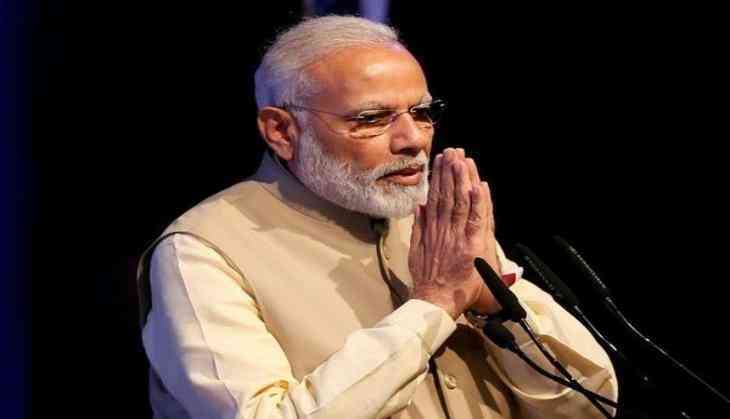 Prime Minister Narendra Modi today said India made no distinction between religions and had no history of attacking other countries or schools of thought. Speaking at an event here on the occasion of Buddha Purnima, the Prime Minister said the teachings of the Buddha were based on humanity and the country was proud the philososphy had originated here. "India has never had a history or tradition of attacking others' ideology or country. We have also never tried to create a distinction between religions," Modi said while addressing the gathering at the function organised by the Ministry of Culture. While speaking on the teachings of the Buddha, Modi said all ideologies which orginated in India were based on humanity. In today's world, humanity and compassion had become even more relevant, Modi said. The prime minister offered "Sangh Dana" (donation) to Buddhist monks from countries such as Japan, Sri Lanka and Vietnam who were present at the event. He also presented the Vaishakh Sammaan Prashasti Patra to the Central Institute of Higher Tibetan Studies, Sarnath, and the All India Bhikshu Sangha, Bodh Gaya.